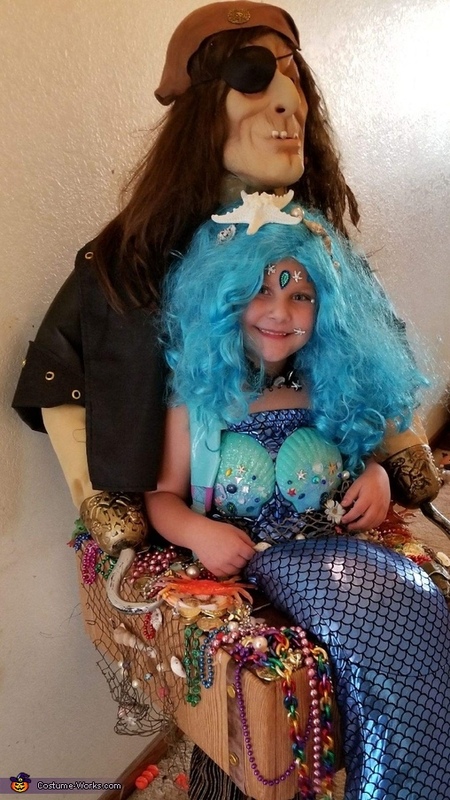 My daughter is a mermaid sitting inside a treasure chest held by a pirate. Her feet are the pirate but she appears to be sitting inside the chest. She is surrounded by a homemade chest and treasure alike. The headband I made with shells and a starfish. Her choker was also handmade along with the netting on the chest and her mermaid. We spent many hours together working on this and she loved the pretty jewels on her face.